Healthcare leaders apparently don't think much of Donald Trump. A quarter of 100 prominent healthcare executives gave money to Trump's opponent, Democrat Hillary Clinton. The rest have not donated to either Clinton or Trump, according to a Modern Healthcare analysis of federal election records. Not a single one financially backed Trump, even though many of them have a history of donating to conservative politicians and causes. The absence of support for the unconventional GOP candidate is not surprising, said Grant Reeher, a political science professor and director at Syracuse University's Campbell Public Affairs Institute. Trump's campaign, which has included charged rhetoric against minorities, has turned off many people who might otherwise support the Republican ticket. Most recently, he has come under fire for vulgar comments about sexual assault, prompting many in the party to disavow his candidacy. And since the outset of his campaign, Trump has eschewed the financial backing of other business elites. “He's only asked for the money after his political brand had become toxic,” Reeher said. The findings also are consistent with Modern Healthcare's second-quarter CEO Power Panel poll, which found many healthcare executives support the Affordable Care Act's insurance expansions and the law's goals to shift away from fee-for-service medicine. 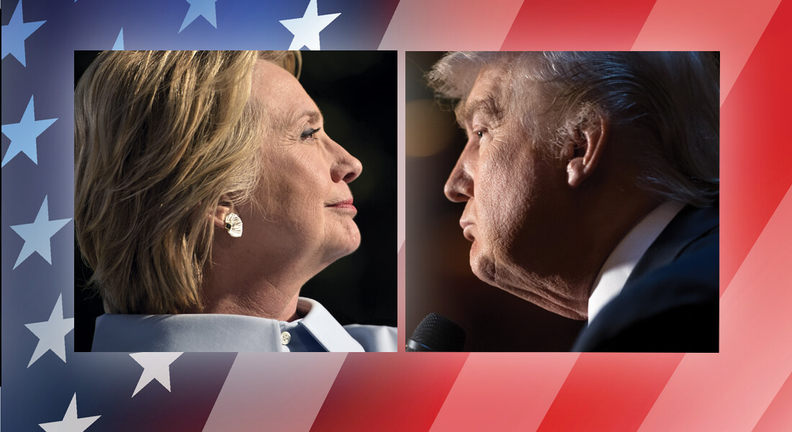 Clinton has emphasized improving the Affordable Care Act, while Trump has vowed to repeal President Barack Obama's signature healthcare law without a clear plan for replacing it. Modern Healthcare analyzed Federal Election Commission filings for 100 healthcare CEOs and leaders, many of whom appeared on Modern Healthcare's 100 Most Influential People in Healthcare ranking for 2016. The Democratic nominee was the clear favorite. Twenty-five executives cumulatively plunked $74,655 into the Clinton campaign's piggy bank. FEC filings suggest healthcare executives have complicated allegiances in this election cycle— except when it comes to Donald Trump. Five executives have donated the maximum $5,400 to Clinton: Geisinger Health System CEO Dr. David Feinberg; Independence Blue Cross CEO Daniel Hilferty; retiring Adventist Health System CEO Donald Jernigan; Centene Corp. CEO Michael Neidorff; and Duke University Health System CEO Dr. Eugene Washington. The law caps individual political contributions to $2,700 per election to a federal candidate, but that limit applies separately to primaries and the general election. Twenty-one of the 25 Clinton supporters have given at least $2,700 since the start of the campaign. Most of them are leaders of hospitals and integrated health systems and include Kaiser Permanente CEO Bernard Tyson; Northwestern Memorial HealthCare CEO Dean Harrison; Dignity Health CEO Lloyd Dean; Memorial Hermann Health System CEO Dr. Benjamin Chu; and Montefiore Health System CEO Dr. Steven Safyer. Some Clinton donors—including Hilferty and University of Texas MD Anderson Cancer Center President Dr. Ronald DePinho—also donated heavily to the re-election campaign of House Speaker Paul Ryan (R-Wis.), whose health policy views differ considerably from Clinton's. Ryan, like Trump, wants Congress to spike the ACA. Six executives who donated money to the Clinton campaign previously funneled cash to Republicans Jeb Bush, Chris Christie and John Kasich, who all lost to Trump in the primaries. Christie has since been a surrogate for the Trump campaign. Prime Healthcare Services CEO Dr. Prem Reddy and UPMC CEO Jeffrey Romoff both donated to Christie's bid before switching to Clinton. Centene's Neidorff, Providence St. Joseph Health CEO Dr. Rodney Hochman and Tenet Healthcare Corp. CEO Trevor Fetter each gave money to Bush's failed campaign before going with the Democratic nominee. Hilferty of Independence Blue Cross went with an all-of-the-above approach. He gave to Bush, Christie and Kasich—in addition to Clinton. Reeher said the change of heart for some executives shows people view their political donations as investments. “They want to back the winner because they want to have the positive relationship with the person in power,” he said. Fetter's about-face is perhaps most surprising, considering he gave $100,000 last year to Right to Rise USA, a “super” political action committee that supported Bush, another ACA critic. Before entering the race, Bush served as a board member at Tenet, a for-profit hospital chain that Fetter has led since 2003. A Tenet spokesman said Fetter was not available for an interview. Many other healthcare executives included in the analysis either declined an interview or were not available to discuss their donations. Bush attracted a lot of money from healthcare leaders during the primaries, when he was presumed to be the Republican standard-bearer. None of them redirected their support to Trump after Bush dropped out in February. Twelve of the 100 executives donated to Bush's presidential campaign, according to the analysis, and that included a few who followed in Fetter's footsteps by giving large sums of money to the Right to Rise USA super PAC. Jonathan Bush, CEO of electronic health record vendor Athenahealth and cousin of Jeb Bush, matched Fetter's $100,000 donation to that super PAC, which can accept unlimited amounts from people and companies. Dr. Roger Medel, CEO of physician outsourcing company Mednax, pitched in $50,000 to Right to Rise USA. Boston-based Steward Health Care System CEO Dr. Ralph de la Torre donated $25,000 to the same political group, and R. Milton Johnson, CEO of HCA Holdings, the largest for-profit hospital company in the U.S., gave $10,000. None of those four executives has sent funds to Trump's campaign coffers or any super PAC supporting him. Jonathan Bush, however, has given $2,700 to Libertarian candidate Gary Johnson. Kasich, who dropped out of the Republican race in May, also was a popular candidate among right-leaning healthcare executives. Kasich received $1,500 from David Holmberg, CEO of provider and health insurance system Highmark Health; and $2,700 from John Lechleiter, retiring CEO of pharmaceutical giant Eli Lilly & Co. The Ohio governor also collected $2,700 from Athenahealth's Bush, making Bush one of the most politically active healthcare CEOs. Even former Republican nominee Dr. Ben Carson, a neurosurgeon who flamed out in March, has garnered more campaign funds from top healthcare executives than Trump. A $1,000 donation to Carson is linked to an address listed on other filings for HCA's Johnson. Many of the healthcare executives who have not donated to Trump this election cycle have long histories of giving to Republican members of Congress as well as to former GOP presidential candidates Mitt Romney and John McCain. Florida Blue CEO Patrick Geraghty, Select Medical Holdings Corp. CEO Robert Ortenzio, Blue Cross and Blue Shield Association CEO Scott Serota, Pfizer CEO Ian Read and several others have each given thousands of dollars to leading anti-ACA Republicans such as Paul Ryan, former House Speaker John Boehner or Senate Majority Leader Mitch McConnell. Aetna CEO Mark Bertolini, who has steered cash toward numerous political candidates on both sides of the aisle over the years, donated $1,000 toward Clinton's senate re-election campaign in 2005. But he has not given anything to either major party candidate during this cycle. Clinton wasn't the first liberal choice for some healthcare leaders. Geisinger's Feinberg and Dr. Georges Benjamin, executive director of the American Public Health Association, each donated to former Maryland Gov. Martin O'Malley's campaign before he left the race. RoseAnn DeMoro, head of National Nurses United, endorsed and donated roughly $2,000 to the campaign of Vermont Sen. Bernie Sanders, who supports a single-payer system. DeMoro has since stayed on the sidelines.